Feinberg Bros. Concert Review Jan. 26, 2018. It was a fortunate flock of bluegrass fans who filled the Unitarian Fellowship to hear the fabulous Feinberg Brothers on Friday evening. The young brothers, Patrick and Rourke, only recently in their twenties, front a quintet that looks and sounds like it might have just stepped off the Opry stage in 1958. The Feinberg Brothers provide a perfect demonstration of how a music can be traditional and vital at the same time. When they play it you know bluegrass is a form of country music not an offshoot of jazz or jam-band rock. Indeed the whole atmosphere is decidedly pre—rock-and-roll. The Feinbergs do credit to the high and exacting standards of a brother duet when it comes to vocal harmonies. The instrumentation is the quintessential quintet of fiddle, mandolin, banjo, guitar and bass, all gathered around a single microphone as though it were a radio broadcast in the days before stereophonic sound. They exhibit consummate mic control: each player moving in and out of range as appropriate keeping all the musical elements in perfect balance. Performance highlights included 3-part harmonies (and twin fiddling) on the timeless “Handsome Molly,” and even 4-part harmony on gospel numbers such as Jimmy Martin’s “I Like to Hear ’em Preach It.” A band like this doesn't need more than three chords in a song because the members find so much of interest through texture, arrangements and dynamics. In this way they compel the listener to pay close attention to every phrase. “Morning Already” was a lovely example of this. Patrick’s voice is a tremendously powerful instrument and in this song he raised and lowered the emotional intensity throughout to give a unique shape to each phrase. Instrumentals similarly adhered to this fully satisfying conservative approach to the repertoire. No guitar breaks or bass solos, and each lead instrument had just one solo chorus to get its point across. This is not a problem when you have as eloquent a player as Terry McGill on banjo. Older brother Rourke Feinberg, on fiddle, belies the caliber of his formal classical training with his fluent and idiomatic bluegrass playing. Original songs, many of them penned by the bassist Peter Elegant, blended seamlessly with more established material. Pater familias, Ronnie Feinberg on guitar, is an exemplary utility player always providing just what’s needed: whether it’s a third harmony part, a twin fiddle, or putting the button on a song with a perfectly placed G-run. Throughout the evening the Feinberg Brothers presented traditional bluegrass performed with charm, precision, energy and polish. They put it forward with utter sincerity and respect for both the music and the audience. Even the banter between songs was delightfully old-fashioned: endearing and courteous. 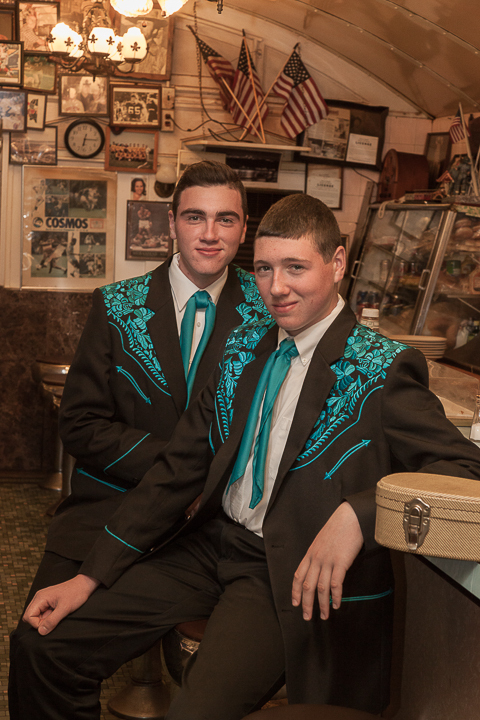 Those who heard them on Friday can tell you, the Feinberg Brothers are not to be missed. The concert represents another excellent installment in the almost monthly showcase concert series put on by the Hudson Valley Bluegrass Association. Be sure to mark your calendar for the next one! "In addition to fine vocal and instrumental abilities and the good taste to choose material that allows them to shine, the arrangements are top-notch. The result is traditional bluegrass with the soul of yesteryear and the technical ability that would be hard to equal." Bluegrass Unlimited Magazine, Full review can be read using link provided. "Traditional bluegrass is alive and well! With expressive singing, masterful picking, and an irresistible stage presence, the Feinberg Brothers bring to life a repertoire of well-chosen gems from the playing of first generation bluegrass greats including Bill Monroe, Jimmy Martin and Jim and Jesse, among others. 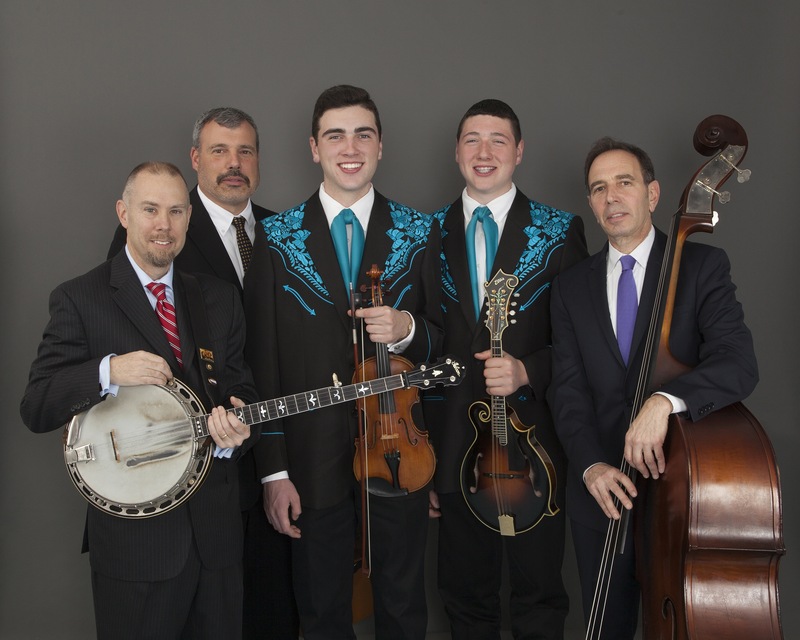 They completely captivated the Emelin Theatre's bluegrass series audience with a thoroughly entertaining performance that belied their youth. Can't wait to see them again!" "Rourke and Patrick Feinberg have an understanding of bluegrass music that goes well beyond their years. It is great to see young people who have such an appreciation of traditional bluegrass music. After seeing them perform, I'm sure you will agree that the future of bluegrass music is in good hands."